The Enagic® Corporation of Japan is the owner of US registered trademarks KANGEN WATER® and ENAGIC®. This interest in Kangen Water® has coincided with a push into the alkaline water market by the MLM (Multi-Level Marketing) company Enagic®. 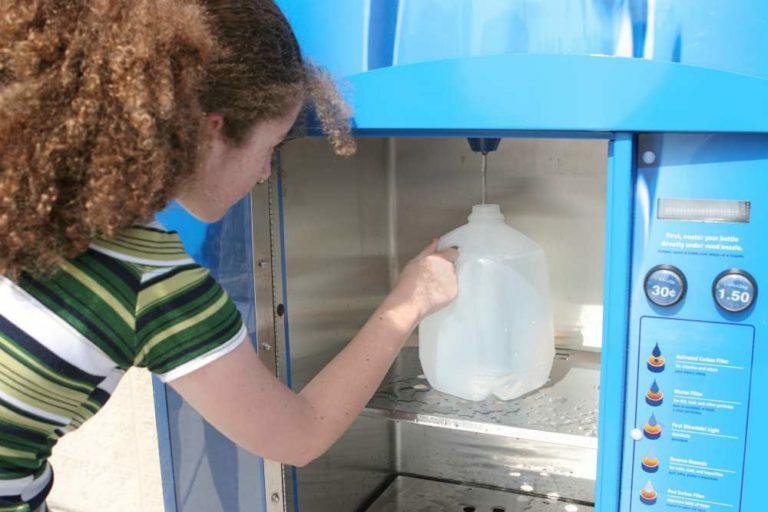 Enagic® corporation has been doing a fantastic job of introducing the concept of alkaline and acid water to many people who otherwise would not know about the wonderful, healthful benefits of such treated water. Kangen water produced by Enagic® Corporation’s water ionizers is different from alkaline, ionized water produced from other manufacturer’s water ionizers. Fact: Enagic® water ionizers produce the same type of alkaline and acidic water; their machines contain a filter and ionizing chamber just like all other alkaline water ionizers. The ionizing chamber in the Enagic® brand basically uses the same technology as do all other water ionizers to split water into acid and alkaline streams. Kangen Water® is simply another -though trademarked – name for ionized, alkaline water. Kangen Water® is better than alkaline, ionized water. Fact: No, they are basically the same – as discussed above. No matter what name it’s given, there are two ways the quality of alkaline water is measured – by how acid or alkaline the water becomes (pH) and by how much ionization occurs (ORP). See “Why Bigger is NOT Better“. 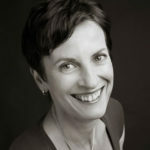 For example, independent tests carried out by ex-Enagic® representatives (concerned about the high prices being charged), show that the AlkaViva Melody Ionizer produced as high an ORP (negative ionization) as did the tested Enagic® models and – when salt was added to the calcium port – produced a stronger acidic water than that achieved by the Enagic®. Read the lab ORP comparison between Enagic® and AlkaViva (formerly Jupiter) ionizers. Click here to view a 2008 independent lab test comparing the performance of Enagic® technology with that of other water ionizers. Some Enagic® representatives’ website claim that their Enagic® units and Kangen water are recognized and approved by the Japanese Health Department, unlike all other ionizers. We challenge anyone to produce a document that says specifically that their water ionizers are the only ones approved as Health Devices by the Japanese Government. Below are examples of comments from an Enagic® website and ones that are often voiced. Well-known authorities on ionized water endorse or recommend Enagic® ionizers rather than other ionizers. 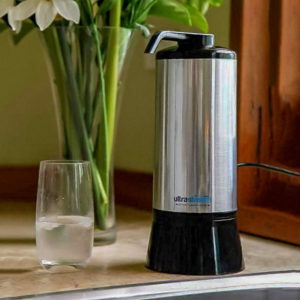 The best-known authorities in the USA such as Dr.Theodore Baroody (author of Alkalize or Die), and Sang Whang (author of Reverse Aging) all recommend and sell AlkaViva water ionizers because they want to give their customers high-quality Kangen or alkaline water ionizers at an honest price. Other well-known alkaline authorities that endorse and use AlkaViva water ionizers include Daniel Reed (author of The Tao of Detox), Harold Tietze (author of Youthing) and Ian Hamilton (author of The Untold Truth…). Kangen or Enagic® ionizers cost more than AlkaViva water ionizers because they are better. No, expensive is not necessarily better. The AlkaViva Melody II Ionizer, for example, is priced at $1595 and offers important user-friendly features that are missing in Enagic® ionizers, such as auto cleaning in the background. The Melody also has an outstanding track record over 8 years, and we challenge anyone to show how or why EmcoTech plates would not last as well as those from Enagic® (which are larger, use more voltage, have salt solution passing through them, and are cleaned more infrequently and less efficiently). Please look here at a report and video from an independent and US government-certified testing laboratory. Check out the Comparison sheet before perhaps spending too much money on your ionizer. Certain alkaline water ionizers are better and stronger than others and the Enagic® range of ionizers are decent good models. Our models offer certain features not found in competing water ionizers, but when you have an MLM company that pays certain reps who do not make the sale a high percentage of the sale price, you have to create an artificially high price because Enagic® and up to eight representatives need to make money from every single sale. It is estimated that Enagic® pays out well over $2000 on an average ionizer sale to its “downline” -and this does not include the profit made by the company itself. 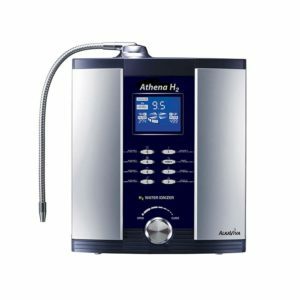 The highest retail price you pay for an AlkaViva water ionizer through Best Water is less than $2700, and that is for a dedicated under-the-counter ionizer. You do the math. MLM “reps” typically do not have a thorough technical understanding of the properties of water, ionization and how the two together produce health benefits. There are exceptions – reps who have really rolled up their sleeves and educated themselves – but the fact remains there can be a great deal of “bogus” information and exaggeration fed to people who have been to MLM presentations. Going to a few MLM presentations does not make one an expert in something, especially something as complex and technical as ionization. Enagic® Corporation of Japan has been marketing “Kangen Water®” for 30 years. Fact: Our research has led us to believe that what became the Enagic® brand was initially manufactured by Toyo Metal a.k.a Toyo Aitex who recently sold marketing rights to Enagic® (also called the Thohan Kiden organization). Toyo Metal water ionizers were called the Apex, Pure Porte 11 or Protec units and these early models were manufactured by and sold for less much less than $1000 in the USA. A company called HydroAnalytics previously imported, distributed and did hands-on repairs on this unit from Japan for the US, Western Hemisphere, and European market before it was withdrawn from the US market, presumably due to lack of market penetration. In Japan, the Thohan Kiden organization manufactures units that are not sold through the Enagic® Corporation of Japan for similar prices to other alkaline water ionizers in the North American market. We don’t know how many ionizers are returned to Enagic®, but we know that we have maintained the highest A+ ranking with the Better Business Bureau, with no complaints. We pride ourselves on a zero customer complaint policy. AlkaViva’ Biostone filtration system is available in 0.1 micron and .01 micron levels of filtration. Both options have coral calcium and tourmaline to improve performance (Enagic® does not have a .01 filter, Calcium or Tourmaline). The replacement filter for the Biostone filter is also set at an honest retail price and is manufactured in the US. The Melody ionizer can be installed three ways including under sink, unlike the Enagic®. The Melody has increased functionality in terms of a flow control valve that operates independently of the tap. AlkaViva’ latest models have a fully automatic valve system. These most advanced AlkaViva models also have an LCD control panel screen which has various readouts and alarms. The Melody and the two latest models have a patented reversible chamber so you can ALWAYS get alkaline or Kangen water® even while the machine is cleaning (with Enagic® you have to wait while the unit is cleaning). The Melody, in a side-by-side independent lab comparison testing, has been proven to be at least equal to the Enagic® Levelluk DXII. AlkaViva’ latest model, the Athena, is even stronger than the Melody. All EmcoTech ionization plates and chambers are made in Japan. Emco’s research laboratory in Japan employs over 10 PhDs to ensure that EmcoTech continues to lead the way in technological innovation. 1) the new mesh plating (increases surface area of electrode creating stronger alkaline water. This means that AlkaViva is able to achieve a higher ORP and pH output without having to increase the size of the plates. Larger and more plates means more electricity and more wear. 3) The new patented DARC cleaning system which eliminates mineral deposits (scaling), ensuring more power and longer plate life. AlkaViva has the lowest return rate for service in the industry (less than 1%). If repair is needed, we have repair facilities in three North American locations, ensuring prompt service. We offer a Lifetime warranty and 60-day risk-free money-back guarantee. Enagic® offers a 5-year warranty and a 30 day trial period with a $700 re-stocking fee. AlkaViva ionizers are sophisticated, stylish and contemporary looking. All units come with a half hour DVD that shows how to install and make the best use of your water ionizer. Plus a DVD on the benefits of alkaline water. Professional, trained staff are available to answer any questions. When you buy from Best Water, you buy top quality AlkaViva ionizers at an honest, retail price.